During the holidays a lot of people go to the movies. We get sucked in by the action and suspense. But watch closely. If you do, you may notice that some integral parts of tools are missing. What good is an air nailer without a hose and air source? We’ve watched the movies and now we’re going to pick them apart. And, with the new year approaching, you might be thinking it’s the year to sell your home. 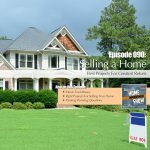 That’s why we’ve invited Karla Huitsing, owner of Keller Williams Rivertown, to share with us some of the best projects that will pay you back in the end. And finally, we took a questions from a listener (and a guest on our show) about painting paneling. The catch is, it’s not just any paneling. It’s paneling in a cottage up north that is only occupied on weekends. Is it ok to do different painting steps weeks apart when the temperature can get so cold inside? We’ll give you the answer in our last segment! A lot of us have basements clad in 1970’s paneling. The rooms are dark and dated and many of us would like a change! Fortunately, making that change is easier than you might think. Today we’ll tell you everything you need to know to get started! 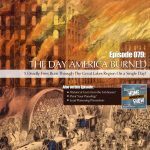 We also interview Holland’s Fire Marshal, Bret Groendyke about the Great Fires of 1871. Chicago burned, but did you know that Holland did as well? Finally, Grand Rapids has alarmingly high numbers when it comes to kids testing positive for lead poisoning. We’ve got information and some measures you can take to make sure your kids are safe! 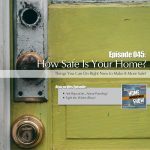 EP11 – June 17, 2017: Paint That’s Almost Magic! Looking at a scuffed wall, just days after it has been painted, is frustrating! Benjamin Moore is changing all that with a brand new paint that’s almost magical in resisting what life throws at it. We put it through it’s paces and were amazed! We’ll tell you what the product is, why it’s unique, and how we tested it. Painting a pool can be very intimidating. People think that there is a lot of work involved and that it takes a professional to do it. Ken Kleinke from Insl-X joins us in the studio to assure every pool owner (or future pool owner) that painting a pool is almost like painting the interior of your house. It really comes down to prep, and even that isn't too bad! And even better, your local RepcoLite or Port City Paints carries Insl-X Pool Paint at a very competitive price! Ken Kleinke has been in the coatings business for over 40 years! He has been with Insl-X for almost 20 which is why we contacted him to talk about pool paint. He takes the fear out of painting a pool! Do you know what dad REALLY wants for Father's Day? More time and less work! We teamed up with Bergman Power Equipment to give one lucky winner a lawn equipment package worth over $600! Larry Bergman joins us in the studio to announce the contest and talk a little bit about the tools we are giving away. With a new string trimmer, blower and mower, dad will be relaxing in no time! Almost every dad would love to get a new grill for Father's Day. At least they wouldn't argue if they got one! We asked Rob Cackowski from Heritage Fireplace and Design Center to stop by and help us sort out grill buying. How do we know what to look for? Gas or charcoal? Rob also has some ideas for small, last minute grill gifts from the kids. And if you want to take dad to pick out his own grill, stop in to see Rob. He'll help dad pick the perfect grill! Segment 4: Benjamin Moore's Newest Paint Is Almost Magic! Are you tired of having scuffed walls from your kids kicking off their shoes as they enter the house? Do you work someplace where the walls look like they haven't been painted in 5 years, even though they were painted the previous week? 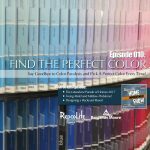 We are in the studio with RepcoLite's very own Dave Helmholdt who just finished training all of the store employees on an amazing new product from Benjamin Moore. 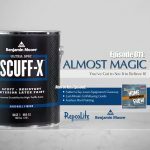 Ultra Spec Scuff-X is an amazing scuff-resistant, waterborne paint that is leaving even the harshest critics speechless!